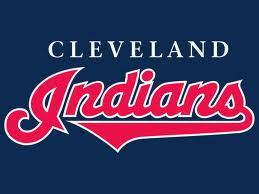 Francona took over a team that ended up 68-94 after being competitive for the first couple of months of the 2012 season. The team also added some key FA talent., but Francona cultivated the attitude of this young team all the way to a playoff birth and a AL Manager Of The Year Award. It will be paramount for this team to experience some deep internal improvement from their organizational players this forthcoming season. Pitchers like Danny Salazar and Corey Kluber must take the next leap, aided by another solid season from Kipnis, a move to Catcher for Yan Gomes, and a utility role for Carlos Santana. 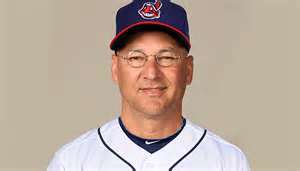 Terry Francona will have to weave his magic once again for this next year. The Indians are an underrated franchise for how well they are run, and the misconception that they have done their fans wrong. As some who has met Mark Shapiro personally, this team is a classy club that doesn’t get the recognition they deserve. Hopefully the team can start quickly and help bolster the attendance for a late season run. Danny Salazar, who is about to turn 24 on Jan.11, 2013, was called up for the stretch run and posted some impressive numbers to help aid the squad. He was just 2 – 3 in his 10 Game Starts, however he only yielded a 3.12 ERA and 1.135 WHIP in 52.0 IP. 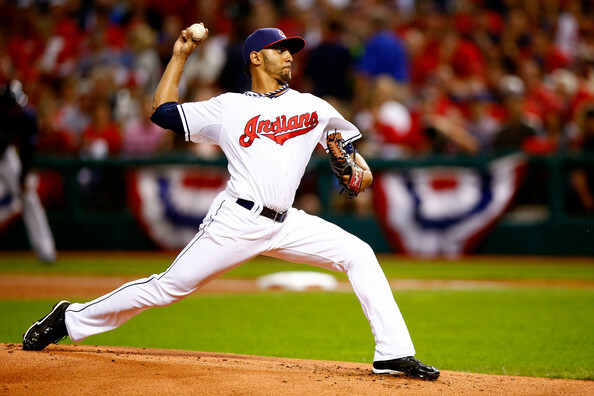 With the likes of JImenez and Kazmir not coming back for 2014, it will put the youngster up the ladder of the peking order in Cleveland with Corey Kluber. Let’s see if he can handle the pressure in the upcoming season. 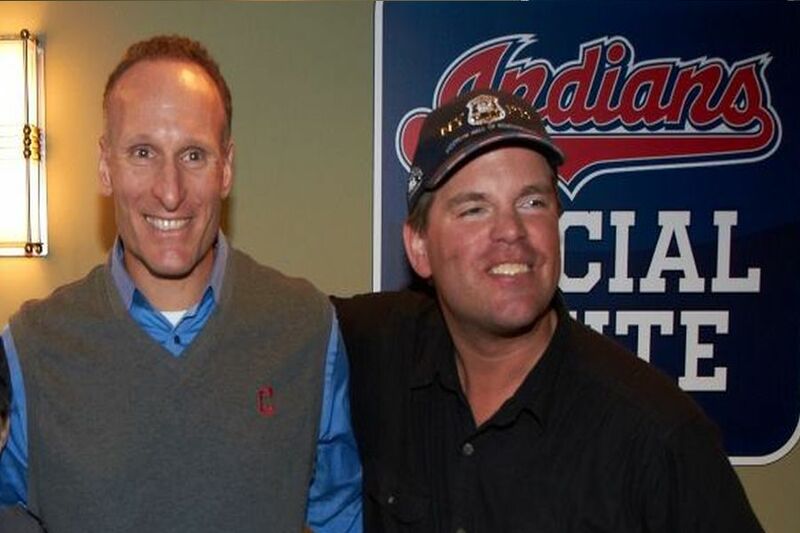 Chuck Booth was visited by the Indians President Mark Shapiro during his trip to Progressive Field in 2012 during his World Record Streak. 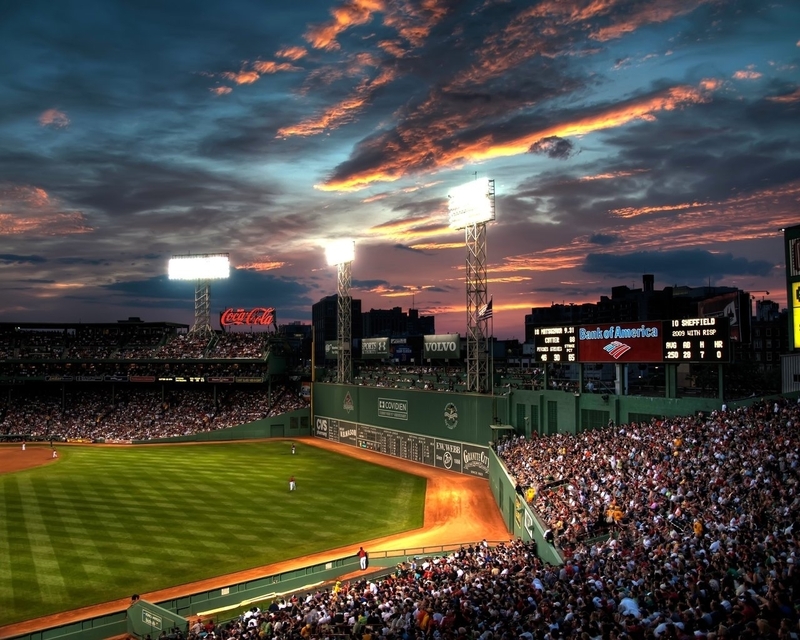 For a Full 3 year Salary Outlook plus last years Stats for every player in the Dodgers Organization year round click here. Posted on January 8, 2014, in On the Verge: MLB Prospects, Organization Depth Charts MLB and MiLB Affiliates and tagged 1995 world series, 1b Chen Lee, 2007 ALCS, 2013 Baseball America's Top Ten Prospects, 2b Drew Pomeranz, 2b/of, 3b Alex White, 3b Nick Hagadone, @chuckbooth3024 on twitter, Aaron Siliga, Adam Abraham, Akron Aeros (EAS), Akron Aeros PITCHERS, Akron Aeros POSITION PLAYERS, al central, Alex Lavisky, Alex Monsalve, Andrew Campbell, Anthony Gallas, asdrubal cabrera, Blake Wood, Brad Seymour, brett myers, bryan shaw, Bryce Stowell, bryson myles, c Lonnie Chisenhall, Carlos Carrasco, Carlos Moncrief, carlos santana, Carolina Mudcats POSITION PLAYERS, cc sabathia, Cedrick Hunter, Charlie Valerio, Chen Lee, chris perez, Chris Tremie, Chris Wallace, Chun-Hsiu Chen, Clayton Cook, cliff lee, Cody Allen, Cody Anderson, Cody Penny, Columbus Clippers (INT), Cord Phelps, Corey Kluber, daisuke matsuzaka, Danny Salazar, David Huff, detroit tigers, Dorssys Paulino, drew stubbs, Dylan Baker, Edward Paredes, Edwin Rodriguez, Enosil Tejeda, Eric Haase, Erik Gonzalez, Evan Frazar, Fabio Martinez Mesa, Felix Sterling, Fernando Nieve, Francisco Jimenez, Francisco Lindor, Francisco Valera, Frank Herrmann, Geoffrey Davenport, Giovanni Soto, Giovanny Urshela, Grant Sides, Greg Agganis, Greg Hibbard, Harold Guerrero, Hunter Jones, J.D. Reichenbach, Jack Wagoner, Jacob Lee, Jairo Kelly, Jake Lowery, Jake Sisco, James Stokes, jason giambi, jason kipnis, Jeff Auman, Jeff Johnson, Jeremie Tice, jeremy hermida, Jeremy Lucas, Jerrud Sabourin, Jerry Gil, Jesus Aguilar, Jim Rickon, Joe Martinez, Joe Sever, Joe Smith, Jordan Cooper, Jordan Smith, Jorge Martinez, Jose Flores, Jose Ramirez, Joseph Wendle, Josh Martin, Josh Tomlin, Juan Diaz, Juan Romero, justin masterson, Justin Toole, Ken Schnacke, Kyle Bellows, Kyle Landis, Lake County Captains (MID), Lake County Captains PITCHERS, Lake County POSITION PLAYERS, Leonardo Castillo, lhp 2010 Baseball America's Top Ten Prospects Carlos Santana, lhp 2011 Baseball America's Top Ten Prospects Lonnie Chisenhall, lhp Chen Lee, lhp Elvis Araujo, lhp Jason Knapp, lhp Nick Weglarz, Logan Vick, lonnie chisenhall, Lou Marson, Louis Head, Luigi Rodriguez, Luis DeJesus, Luis Encarnacion, Luis Hernandez, Luis Morel, Mahoning Valley Scrapper POSITION PLAYERS, Mahoning Valley Scrappers (NYP) Ted Kubiak Greg Hibbard Tony Mansolino Mahoning Valley Scrappers PITCHERS, mark reynolds, Martin Cervenka, matt albers, Matt Antonelli, matt capps, Matt Carson, matt laporta, Matt Lawson, Matt Packer, Matthew Langwell, michael bourn, michael brantley, Michael McDade, mike aviles, mike illitch, Mitch Brown, Mitch Nilsson, Nate Spears, Nellie Rodriguez, Nicholas Pasquale, nick hagadone, nick swisher, of Cody Allen, of Hector Rondon, of Jason Knapp, of Nick Weglarz, of Ronny Rodriguez, of Tony Wolters, of Zach McAllister, Omir Santos, Owen Dew, Paolo Espino, Peter Carfagna, Phil Clark, Preston Guilmet, Quincy Latimore, Rafael Homblert, rhp 2012 Baseball America's Top Ten Prospects Francisco Lindor, rhp Alex White, rhp Carlos Carrasco, rhp Danny Salazar, rhp Jason Kipnis, rhp Levon Washington, rhp Luigi Rodriguez, rhp Michael Brantley, rhp Mitch Brown, rhp Nick Hagadone, rhp Scott Barnes, rhp Tony Wolters, rich hill, Richard Stock, Rob Bryson, Rob Nixon, Robbie Aviles, Robel Garcia, Robert Whitenack, Roberto Perez, Ronny Rodriguez, Ryan Merritt, ryan raburn, Ryan Rohlinger, Scooter Tucker, Scott Barnes, scott kazmir, Scott Peoples, Shawn Armstrong, Shawn Morimando, shin-soo choo, ss Austin Adams, ss Dillon Howard, ss Dorssys Paulino, ss Joe Gardner, ss Tyler Naquin, ss/2b Jesus Aguilar, steve karsay, T.J. House, Tim Fedroff, Todd Hankins, Tony Arnold, Tony Mansolino, Tony Wolters, Toru Murata, trevor bauer, Trey Haley, Tyler Holt, tyler naquin, Tyler Sturdevant, ubaldo jimenez, victor martinez, vinnie pestano, Will Roberts, yan gomes, zach mcallister. Bookmark the permalink. Leave a comment.